This article was written by Jane Sheeba. There are different ways to generate income from home. Blogging is one of the methods to generate wealth through online and working from the comforts of your home. For some, blogging is a source of part-time employment and for others it is a full-time employment. 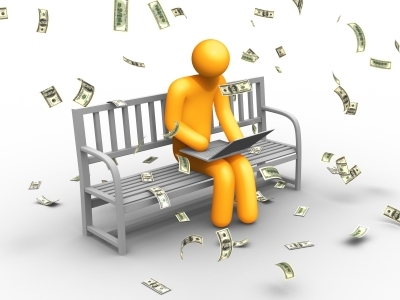 Blogging lets you convert your favorite pastime into income by which you can enjoy the work as well as generate money. Let us check how you can organize your blogging setup and optimize your efforts to convert your blogging efforts into money. Effective planning is required to work from home. You should plan and procure all kinds of resources. From physical space in your house to virtual space in your computer all kinds of resources should be well utilized. This kind of decency is required to achieve a targeted level of success through your blogging efforts from home. As far as possible you should create a separate home office space within the existing overall space. A separate cabin, working table, storage racks, wiring for computer, internet connection, etc. should be well planned in such a way that your productivity will increase. If you are able to arrange the furniture in home in an appropriate way, you will be able to avoid distractions from your kids and other ways. Printing accessories and requirements, folders and other office supplies should be kept at reach so that you don’t get distracted from work while looking for those. By the way, if you are hesitating to keep a printer at your home office while you print reasonably often, then you are seriously wasting time in seeking an external source (like another shop) to print. If you’re tight on budget you can always find deals as that of 4inkjets and 123inkjets to save on printer, toner and other related accessories. It is important to maintain various kinds of data sheets to plan and organize your work within the computers. All files and folders should be organized properly so that you can easily track them in future. Systematic planning will save your time. You will be able to raise invoice at the end of the month very easily. You will be able to manage your accounts and file income tax returns without having any complexities. Blogging from home gives you lot of freedom. This freedom should not let you lose your precious time. Effective time management is required to achieve success in your efforts. A certain level of dedication and commitment is required to make enough progress in this regard. You should be able to meet all the deadlines set by the client. If you are blogging on your own, you should release the articles every week and every month as per the set target. Consistency is very important when you are blogging from home. You should be able to track the number of hours you are spending for a specific project. Redundant efforts should be eliminated and wherever possible, you should automate the process. For example, you can pay bills that pertain to your home office through online. You can engage better tools to automate list building process, SEO process, etc. You should set priorities for your tasks and work accordingly. In this way you can accomplish more tasks in less time and your productivity increases. You should be able to manage all kinds of distractions that will slow down your work. Distractions will come from many sources. Distractions from SMS, distractions from family members and distractions from online resources such as emails, chat and social networking mediums should be properly thwarted. It is always better to respond SMS at specific intervals of time instead of sending instant replies. You can login to your emails and chat services in stealth mode. This will prevent you being poked by others. In order to optimize blogging productivity, it is required to reduce stress on your part. The sitting posture should be well adjusted. The height of the table, chair used and monitor to eye contact level should be properly maintained to reduce stress on your eyes. Frequent breaks should be taken to relieve eyes from muscle contractions. Continuous glare at less distant monitor will make your muscles adjusted to lower distances. This can be avoided by glaring at long distant objects for every 20 minutes. Serious home bloggers should take both short and long breaks. It is required to spend quality time with family members. This will refresh your mind and improve your productivity. Physical exercise like walking or jagging for 20 minutes is required to keep your muscles fit enough all through the day. The breaks that you take at frequent intervals will help you recharge and deliver more output. It is important to find the direction of your home blogging business. You should be able to track the results from your blogging efforts. The efforts you put in towards blogging and all the overheads like space, furniture, electricity, internet access should be included in the expenditure. The returns on investments (ROI) should be many times more than the input. If you are interested in adding value to your home office look at my site for a 4inkjets discount code. See also this review of 123inkjets.com and the discount code displayed. 123inkjets and 4inkjets are services you may want to consider for your home office as they completely cover the ink needs of your printers in the most inexpensive way. Next articleAwesome articles you might have missed! Every aspect in this post is quite relevant and it is very important for new bloggers online. Well, I’m one of them and that’s why I do appreciate your post. Thanks! Good blog post but you focused on the habits of a blogger rather than on making money. It’s always going to take work but there is a system that is used by thousands out there to blog for money, including me. I recently began earning money from my blog enough to make a pretty decent income at it. I’m not full-time yet, but I’m getting there. 1. Build a blog in a niche you’re passionate about and understand. One that you can freely discuss without needing to google everything about it. Know what you’re talking about. 2. Promote your blog with guest posting and social media. 3. Build an e-mail list from your readers. 4. Promote relevant products that you would like to buy to your e-mail lists. That’s how many Internet Marketers are making their money these days. It’s repeatable, it’s scaleable, and it really works. I like the articles of making money from blogging.. I will jump on the article to this series..
Blogging is the best way to make money easily from blog but hard work is needed. And as you’ve mentioned planning and time management is very important to get better results. I have to agree with all your points. One that works well for me is getting up every so-often to grab fresh air and exercise. I honestly wouldn’t be able to get through over 2 hours sitting down writing an article. these post is really awesome.I agree blogging is really good way to earn money, waiting for more information.